A durable a-frame at an economy price. 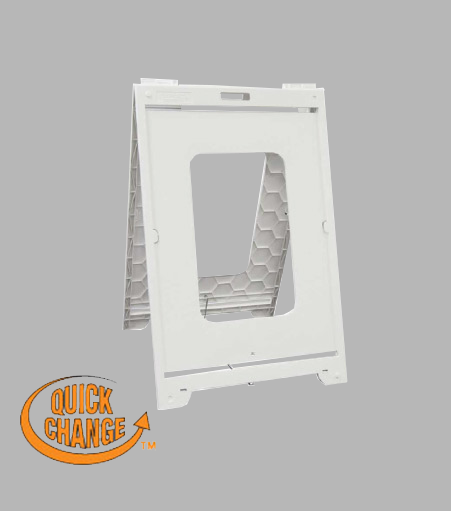 Patented "Quick-Change" feature allows you to change signs in seconds. 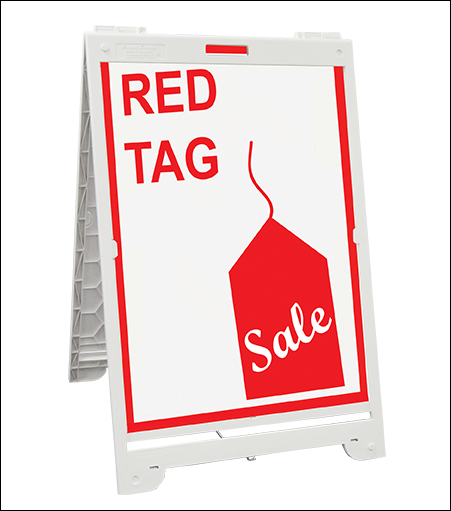 Sign blanks easily slide in and out and stay securely in place. Two signs per frame. Attractive and strong - no rust, no splinters and no maintenance. Molded handle for easy portability.